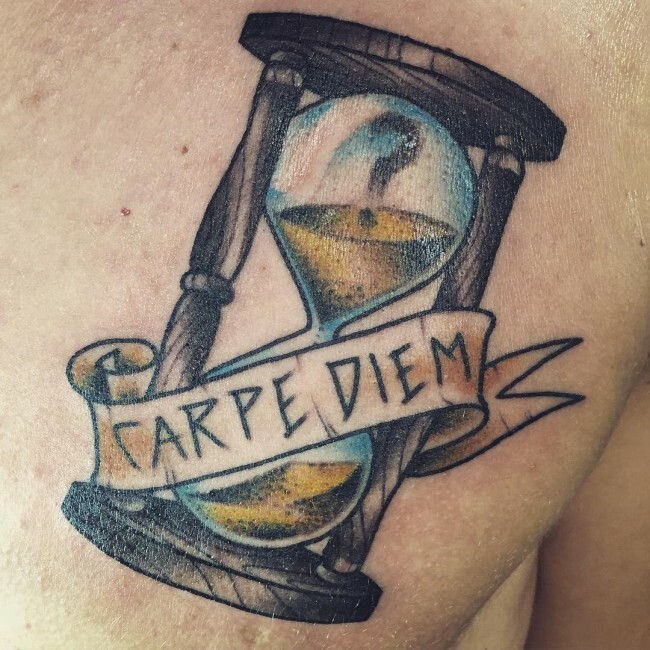 The phrase ‘carpe diem’ has become quite common these days, with songs, films and posters quoting it. It loosely translated to ‘seize the day’, which simply asks the reader to embrace the life one day at a time. Tattoos, too, have now began including the phrase, but the message is directed more at the wearer of the tattoo than those who read it. The phrase was first used in one of Horace’s Odes in English literature back in 23 BC. The phrase was then carried forward over generations, just like many other phrases, through art until it was finally included in the English dictionary. A common replacement in today’s culture is YOLO (you only live once) which means the same thing, though not as poetic. 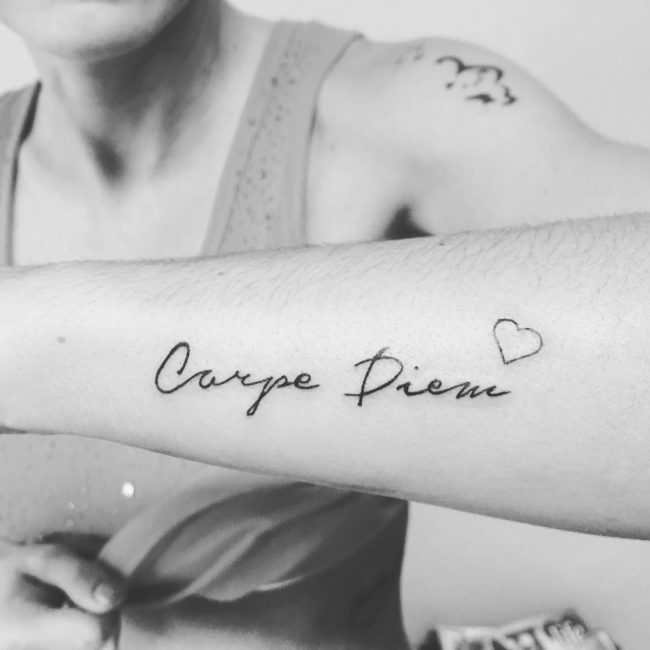 The first word, carpe, means enjoy, and the second, diem, day. The actual, literal, interpretation would be “Pluck the day (as it is ripe)”, which is what the poet intended. Right now, it is a call to others by the wearer to do the same, to let go of life’s stresses. Apart from the appealing meaning, it can also be used to motivate someone who has been through some kind of loss. The tattoo will remind them of the fleeting nature of life, and perhaps encourage them not to give up but instead take the day as it is. The meaning of the phrase always remains the same, but it can be applied to various aspects of life. 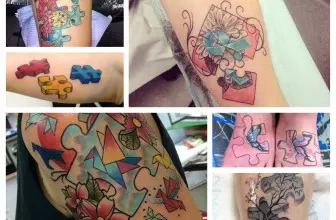 It is in these interpretations that different types of these tattoos have arose, and of course, you can always create your own imagery that is going to be meaningful to you. 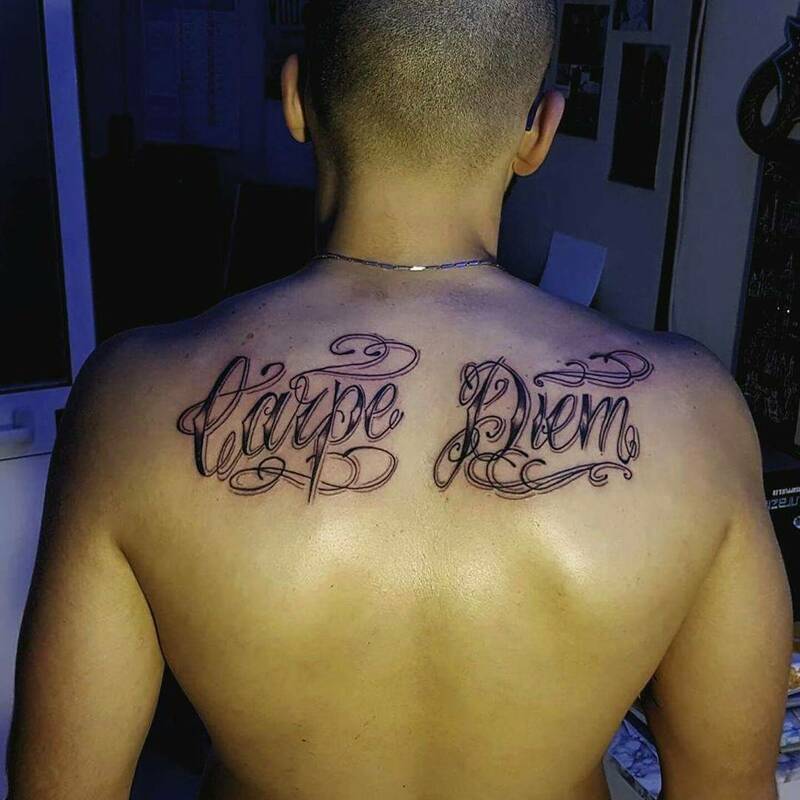 To make a classical design of this tattoo, you only need to be creative with fonts and patterns. This style is simple and only includes the actual words without any other imagery; which is perhaps why most people opt to go for it. Choice of font will depend on the position you want the tattoo, and some common classical fonts include gothic or calligraphy. Calligraphy is more flowing and consists of narrower strokes with curves, this makes it usable in any location of the body because you can easily size the tattoo. For the more gothic fonts, text is heavily shaded and as a result the tattoo is almost always quite large, so placement becomes a bit more challenging. 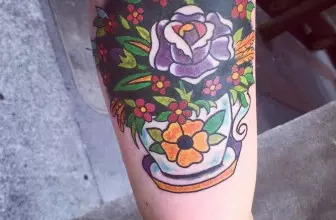 The back, thigh or shoulder plate are some of the areas these tattoos can fit easily. Another reason for the growing prevalence of the style is its universality: it can be worn by both genders and the meaning is broad and can be interpreted variably. 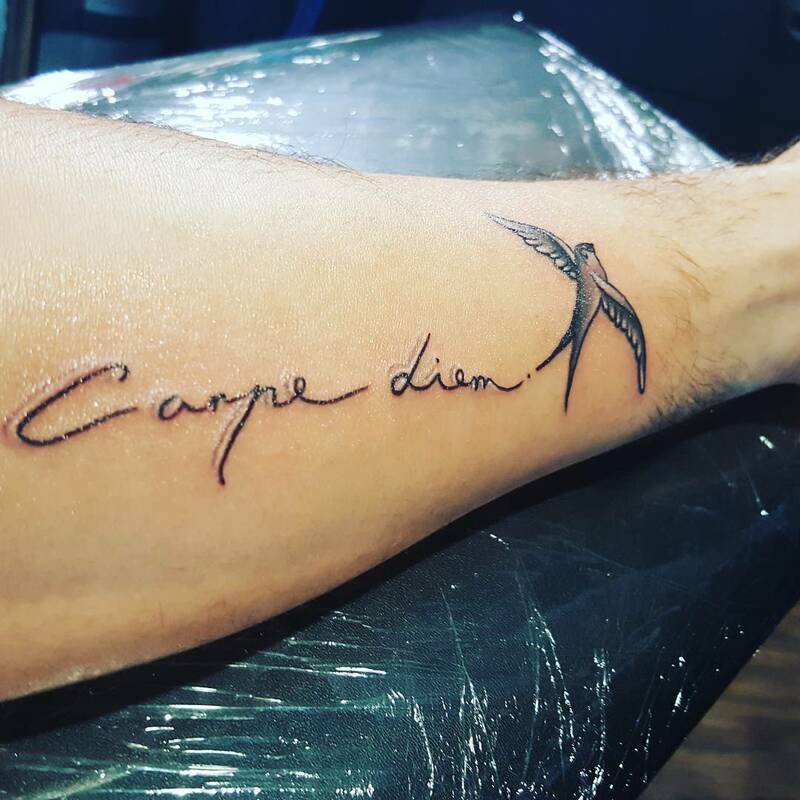 The tattoo can be used to express your acceptance with the principles of carpe diem, that you’re ready to enjoy life to the fullest. 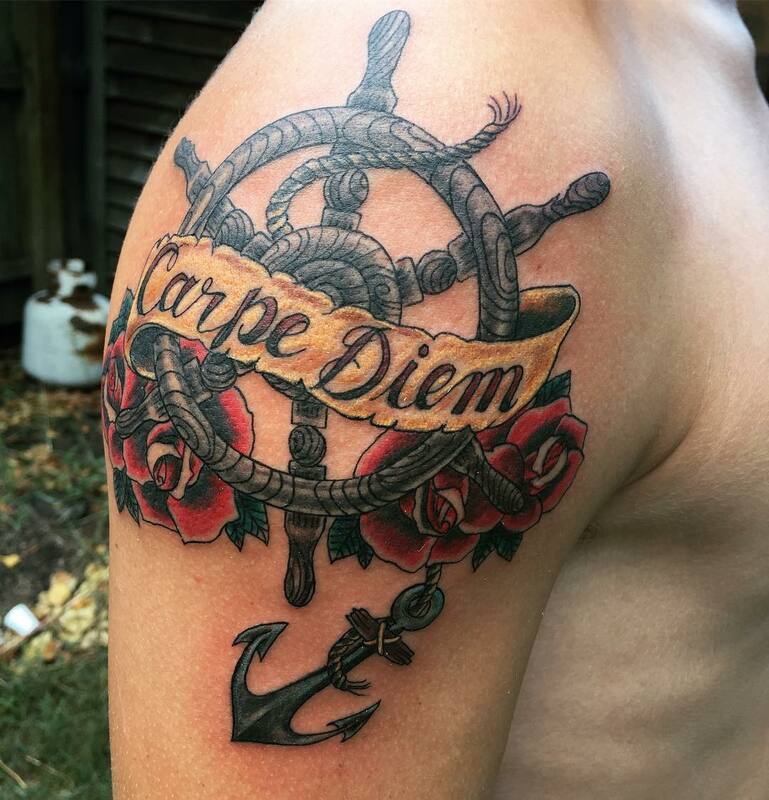 For the more artistically inclined, an image of a bright flower combined with the carpe diem phrase could be used to both improve the tattoo and also convey a specific message. In society, a flower is associated with various meanings, it is a symbol of happiness, joy, sincerity and hope. This is why flowers are used in both happy and sad situations. When coupled with the phrase, a flower specifies what about the day you want to actually seize, in this case, all the above. This style is great to help one express themselves as there are no set standards, the choice of flower, colour and font is completely up to you. Of course, it’s important to first find out what a specific flower represents in order to get it right. For example, a four-leaf clover is considered a sign of good luck, and including this image will indicate you believe you will experience a spell of good luck. The bird is quite often a symbol of freedom, although some species could also be considered authoritative (the eagle), the concept of freedom is nonetheless present. This tattoo indicates this freedom, and the willingness to try out something new, to break away from the norms. It’s the tattoo for someone who would like to be more expressive, and do more according to their own will. 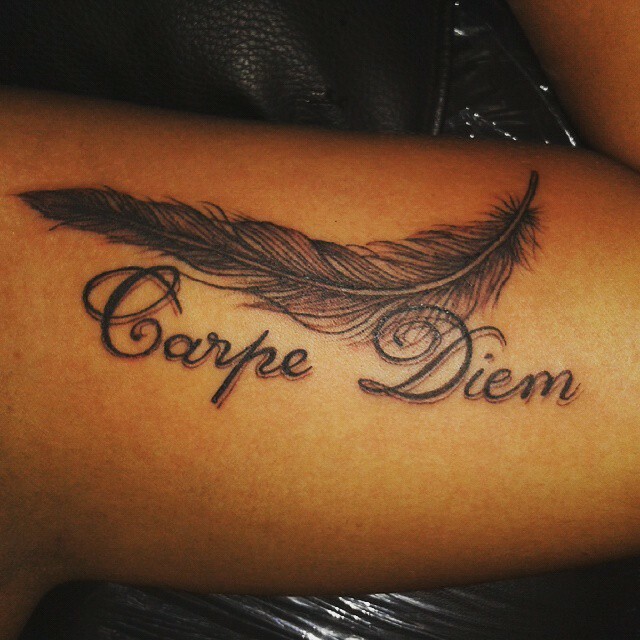 Even the phrase itself, seize the day, has an aspect of time in it. It is also a clear image of life, that we only get some time before it is gone, and the tattoo reminds you to take the day wholly as it is. It is a very powerful image, and can even be made more personal by positioning the clock’s hands in a unique time. Another variation is the addition of a bird’s wings to express ‘time flies’. Another reminder that life is short and should be embraced. The fact is, the one in control of the steering wheel is literally in control of the whole vessel, whether it’s a ship or vehicle. The steering wheel, therefore, is a sign of control, and this style of tattoo indicates you are ready to take control of your life. This control may be over love, career or decisions. Such a tattoo is suitable for the person who feels they want to be in control, and they exercise dominancy and boldness. While you can use the image of a modern day vehicle’s steering wheel in the tattoo, it wouldn’t be as striking. Which is why a ship’s steering wheel is more common. This is for couples who would like matching tattoos. It is a reminder that we should love today and not to put it off, but instead to seize the day. The imagery in this style can be as simple as just the outline or detailed and coloured for effect. You don’t have to have studied music to recognize the musical keys and symbols which represent different notes in a piece of music. These symbol can also be used in a carpe diem tattoo to remind someone to enjoy the music of life without too much worry. It is very symbolic and usually has a very personal meaning to the wearer of the tattoo.